BANGOR, Maine — The Maine Women’s Lobby launched a new campaign Thursday designed to engage voters and educate election candidates on issues important to women. 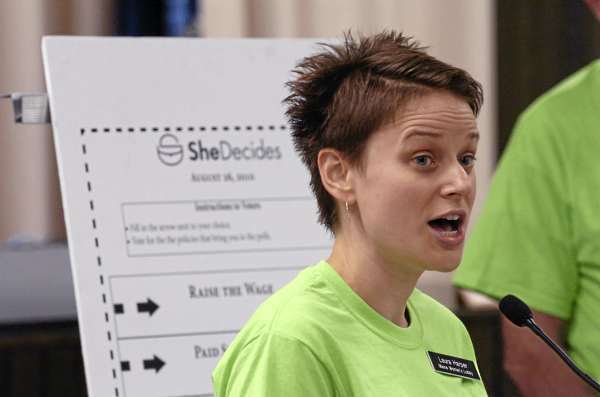 The campaign, called “She Decides,” focuses on improving minimum wage, paid sick days, family-friendly workplaces, equal pay for women and access to education and the jobs that require it. The campaign is focused on a “pocketbook agenda,” or a roadmap to winning Maine women’s votes. “If candidates want our vote, they need to speak to the issues we care about,” said Charlotte Warren, associate director of the Maine Women’s Lobby. The campaign will run until Nov. 2 and includes more than 5,000 online supporters, according to Warren. 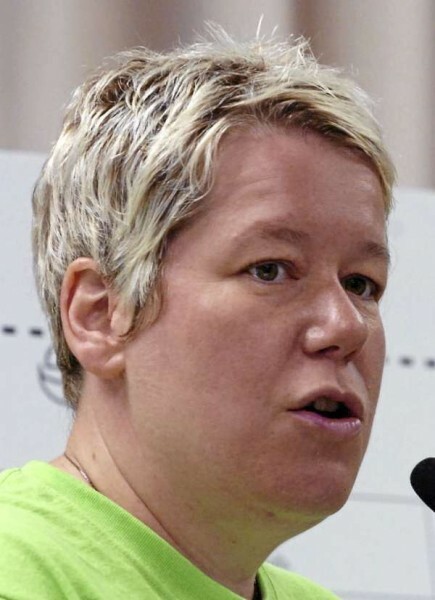 One member of the campaign, Betty Wilkins of Hallowell, said she has experienced low wages and the need for higher education ever since working six low-paying jobs in 1995. Wilkins said that even a degree in microbiology couldn’t get her a job. She went back to school for a career change and now has a higher-paying job and is able to support herself. “When you work hard, you should be able to support yourself and your family,” she said. Mary Cathcart, a women’s political leadership advocate and former state legislator, also spoke at the campaign announcement at Bangor City Hall. She said she supports the campaign because women’s “wages provide critical income and, increasingly, the only income” for a family. “The women who are part of She Decides are asking candidates how their decisions will affect their pocketbooks,” Cathcart said. The campaign’s volunteers will be attending election events, canvassing neighborhoods and writing to candidates, asking them questions and offering information about She Decides. The campaign doesn’t plan to endorse a gubernatorial candidate, but more than 30 electoral candidates have filled out its online She Decides questionnaire. The gubernatorial campaigns were contacted two weeks ago to fill out the questionnaire, but so far only Eliot Cutler’s campaign has responded. The questionnaire the campaign offers candidates to fill out can be found at shedecides.org. It includes yes-or-no questions on each of the campaign’s five top issues. The campaign also plans to engage men, who are affected by the same issues, Warren said. The announcement of the campaign also coincided with Women’s Equality Day, the 90th anniversary of women’s suffrage and an Emerge Maine ceremony in Freeport honoring Millie MacFarland, a 10-year clerk of the Maine House and the first Woman of the Year honoree.